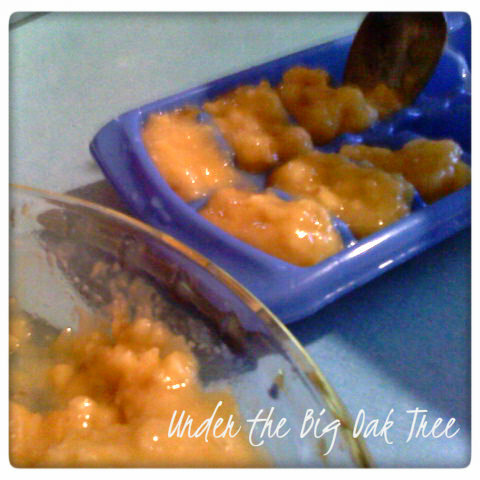 With a picky toddler in the house, we try to keep foods that Grace likes on hand at all times. This means we're always stocked up on french fries, chicken nuggets, rotisserie chicken, corn, peas, mandarin oranges, yogurt, dry cereal, and bananas. While there's a long shelf life on most of the foods, we just can't seem to keep up with the bananas. Even with the 3 of us eating them, they just seem to turn too quickly. Since I hate being wasteful, I've been freezing the bananas once they start to get too spotty, rather then just tossing them into the garbage. I used to just peel, slice and place the bananas in a zipper freezer bag and pop them into the freezer. But a lot of times they would freeze together. A better way to freeze them would be to place the sliced bananas on a cookie sheet in a single layer, then to place the cookie tray into the freezer. Once the banana slices are frozen, they can be placed into a zipper bag and stored into the freezer. This method helps to keep the bananas from sticking together. I just never have enough room in my freezer for the cookie sheet. 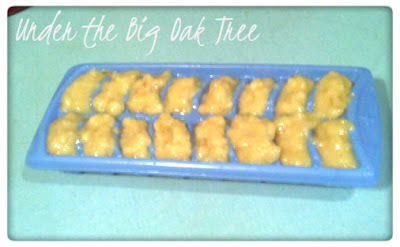 I found that mashing the bananas then spooning them into ice cube trays works best for me. The ice cube trays take up less space than the cookie tray method. 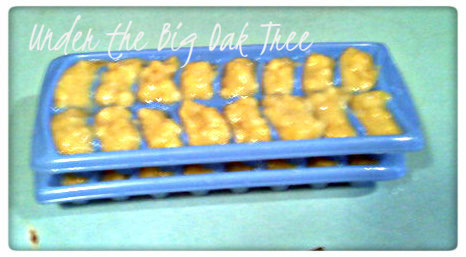 Normally, I only need to use one ice tray and I fill those ice cube sections pretty full. Almost overflowing. If I need to fill an additional tray, I make sure to fill the sections in the bottom tray less full. That way the top tray won't sit IN the mashed banana cubes. Once they are frozen solid, they can be easily removed from the trays and placed into a freezer bag or freezer-safe container. Frozen banana cubes are perfect for smoothies. Three cubes along with some berries make the best low-calorie smoothies! My name is Danielle Zimmerman and I’m an editor for AllFreeCasseroleRecipes.com. I also contribute to recipelionblog.com. 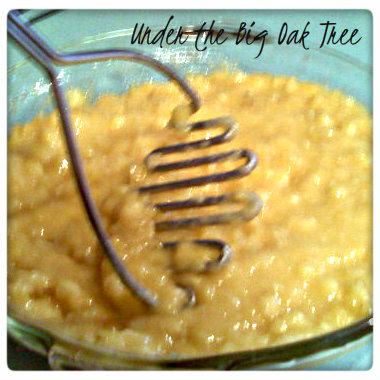 I just wanted to let you know that I linked out to your “Corn Dog Casserole” recipe in my most recent blog post. 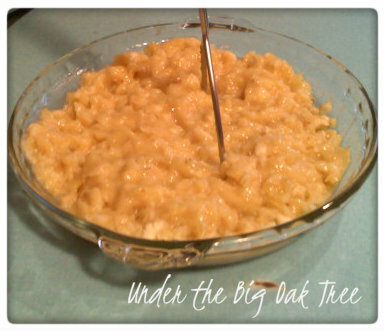 Here’s the URL: http://blog.recipelion.com/unconventional-unexpected-casseroles/. I’ve browsed through your blog before and I have to say that all of your recipes look so delicious! If you’re interested, we’d love to feature more of your casserole-esque recipes on AllFreeCasseroleRecipes.com. Basically, what we do is give a short description of your recipe along with a picture and then link back to your site so that they can see the full recipe. If you’re interested in working together, just shoot me an email at dzimmerman@primecp.com!